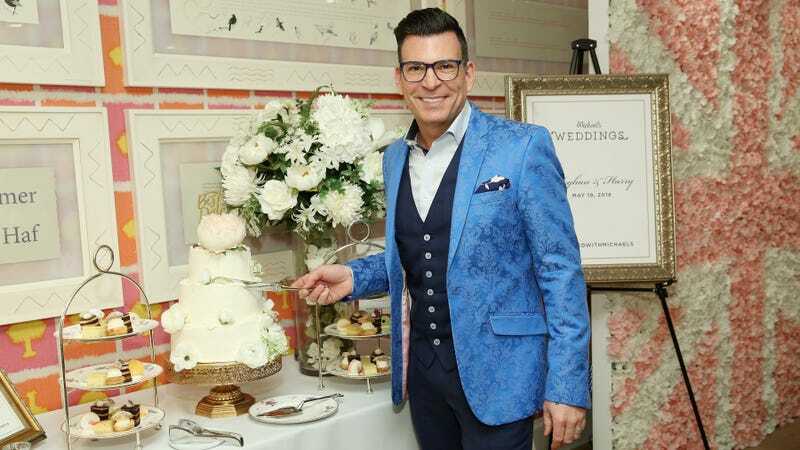 Lifetime has bagged David Tutera—whom you will likely recognize from his show on their competitor network, WE TV; and a major reality TV celebrity to me, somebody who spent the mid-2010s absolutely obsessed with his schtick—for an “eight-part reality event series.” Directly into my veins, thanks! In the series, eight inspirational couples will work with renowned wedding and event planner Tutera, to receive the wedding of their dreams. Each week, one new couple will share their emotional and heart-warming story live from a different city or town across the country. Dramatic reveals will culminate in the live broadcast of the wedding, brought to life by Tutera, Lifetime says. “We scoured the country to find the most amazing couples whose true stories of courage and survival against all odds define Real Love. We’re honored to celebrate these love stories with America,” said Gena McCarthy, executive VP and head of programing for Lifetime Unscripted and fyi; she must have business cards that measure five-by-seven inches, congrats to her. Competing for a very limited number of reality TV dream wedding spots is absolutely on my dystopian media environment bingo card. And yet, I’m sad that I canceled cable, because I love David Tutera and his magical venue transformations. But also glad, because I really do not have enough free time to find myself stretched out on the couch, crying about somebody else’s wedding journey, which is exactly what would happen, no question.